Dr. Alice S. Kandell, of New York City, New York, is a child psychologist formerly affiliated with Mt. Sinai Hospital. 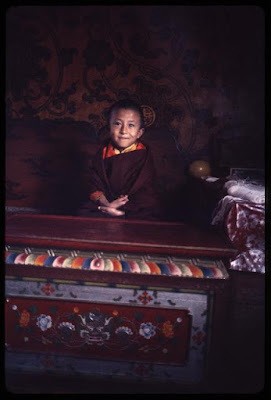 Additionally, Dr. Kandell is an author and professional photographer, having published books on subjects ranging from Mountaintop Kingdom: Sikkim to children's books such as Max the Music Maker and Ben's ABC Day. Dr. Kandell is also Vice President of the Board of the International League for Human Rights and President of the International Vocal Arts Institute, whose faculty is affiliated with the Metropolitan Opera. She also performs in non-singing roles with the Metropolitan Opera in New York. She received her Doctorate in Child Psychology from Harvard University. Dr. Alice S. Kandell first visited Sikkim in 1965 to attend the coronation ceremony where Hope Cooke, a close friend from Sarah Lawrence College, became the first American-born queen. 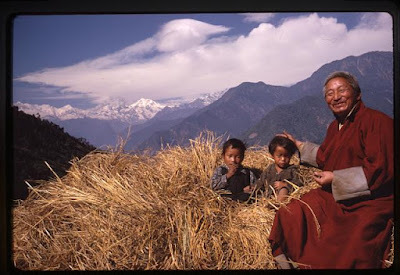 The Chogyal (king) Palden Thondup Namgyal asked Dr. Kandell to use photography to document the indigenous cultures of Sikkim and to show how he and Hope were improving education and local businesses. With this special access, Dr. Kandell created a visual encyclopedia of Sikkimese life as it was before India absorbed the kingdom. 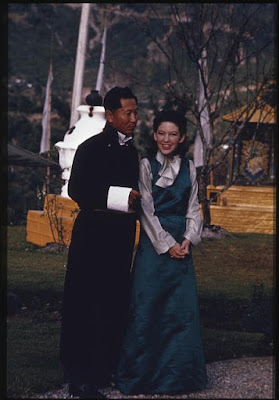 Dr. Kandell returned to Sikkim many times, while also completing her doctorate degree in child psychology at Harvard University and establishing her career in New York City. Growing political struggles between India and Sikkim brought the photography project to a close in the early 1970s. 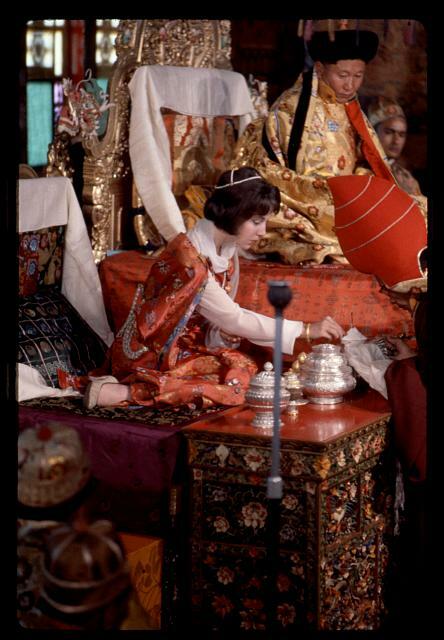 During a final trip in 1979, she photographed the wedding of Princess Yangchen Dolma. 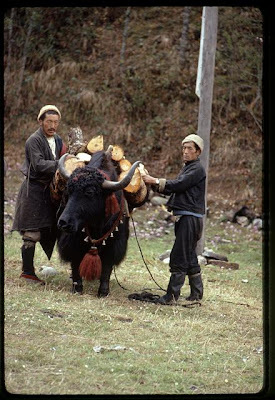 Her collection grew to more than 15,000 color slides and black-and-white photographs taken while traveling extensively through a country the size of Delaware. 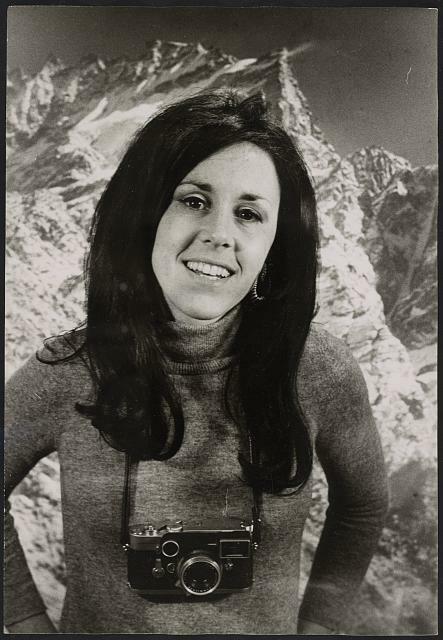 Dr. Kandell went high in the mountains to meet farmers and traders who allowed her to photograph their families and homes. 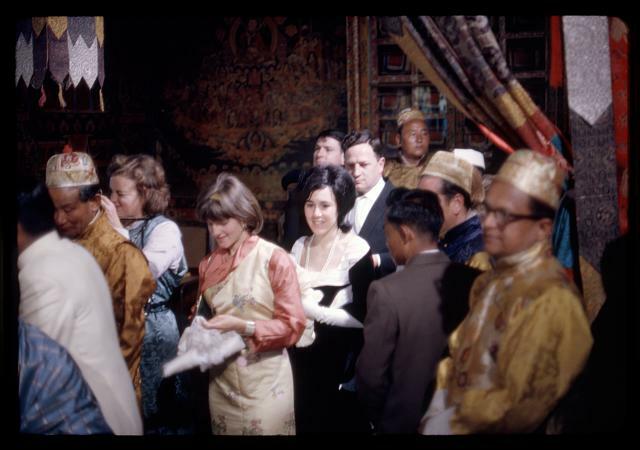 She attended Buddhist religious ceremonies, captivated by the music, masks, and dances. She captured formal and informal scenes with the royal family in Gangtok as well as artisans with their crafts, children in schools, and the remarkable landscape. 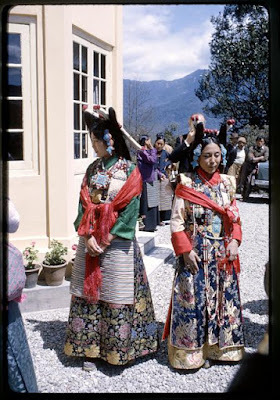 Two books published in 1971 feature these photographs-- Mountaintop Kingdom: Sikkim (with text by Charlotte Salisbury) and a book for children called Sikkim: The Hidden Kingdom. 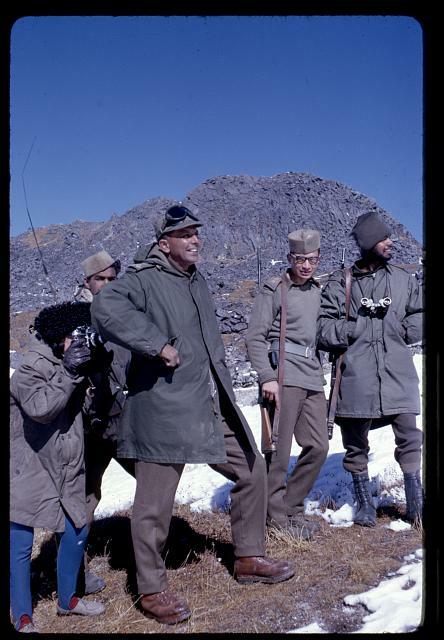 Dr. Kandell also wrote and illustrated articles about Sikkim forRedbook, Holiday, Scholastic, and The Saturday Evening Post. 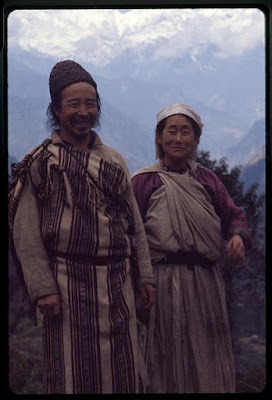 During an exhibit of Sikkim photographs at the Camera Club of New York in 1971, Dr. Kandell said, "I tried to use my camera to communicate the warmth and openness of the people of Sikkim. I wanted to capture the beauty that is everywhere." A second exhibition was held at the Asia Society in New York, sponsored by the International Center of Photography, in 1975. Inspired by her experience in Sikkim, Dr. Kandell went on to assemble a major collection of Budhhist art and religious objects. 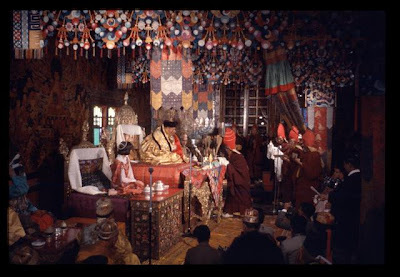 This Tibetan shrine with original paintings, sculpture, and furniture is now at the Smithsonian Institution. 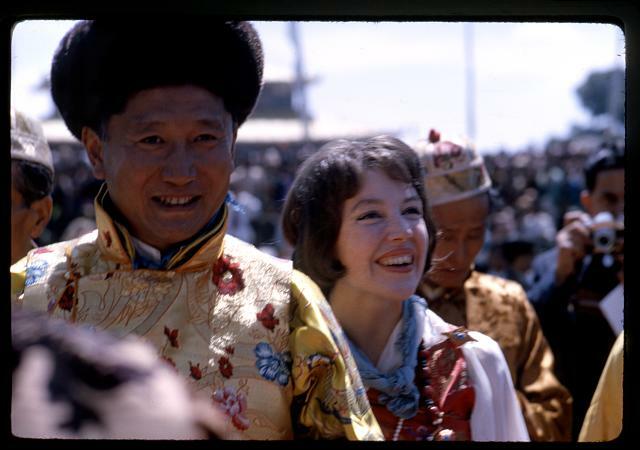 She also retained her connections to the Sikkimese people. 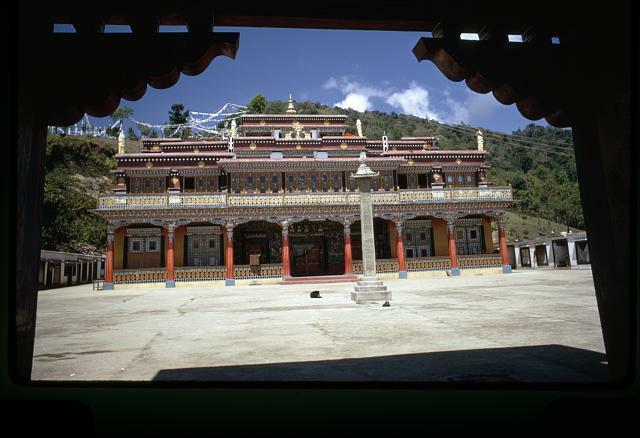 In 2010, Hope Cooke joined Dr. Kandell at the Library of Congress to describe their work in Sikkim. The webcast from this program, "A Tour of the Lost Kingdom: Sikkim," can be viewed online. Maghe Sankranti is the commencement of the holy month of Maugh, which usually falls in the mid of January. 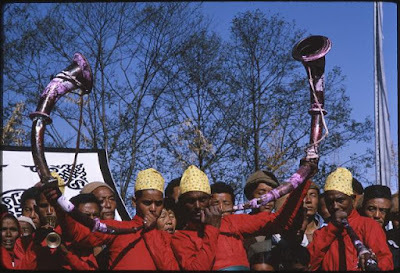 It brings an end to the inauspicious month of Poush (mid-december) when all religious ceremonies are forbidden. On this day, the sun leaves its southernmost position and takes off for its northward journey, so Maghe Sankranti is similar to solstice festivals in many other traditions. While, the day of Sankranti is considered as the coldest day of the year, it blots the upcoming warmer weather. 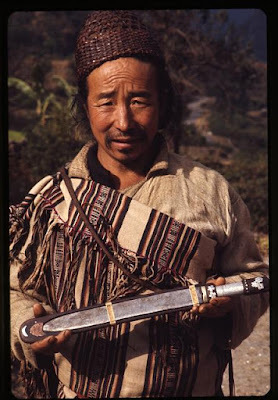 Though, it is rejoiced by the Hindu Nepalese in Sikkim, the festival is greatly observed by all the ethnic communities. This day is said to be the propitious day for holy bathing in spite of the chilled weather conditions. 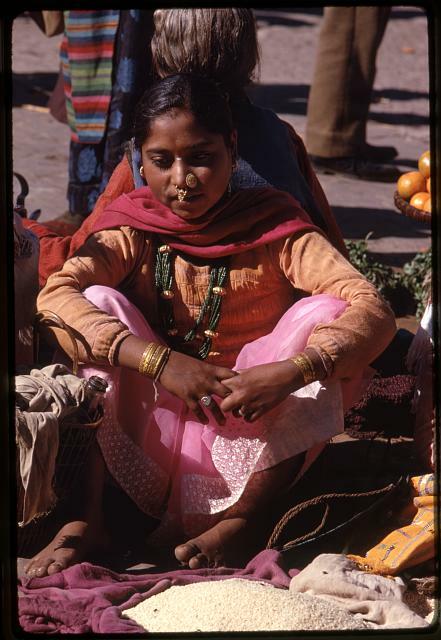 This ritual usually takes place at the union of sacred rivers and streams known as Triveni. 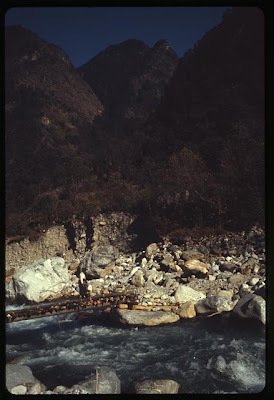 Sikkimese people usually visit Triveni of Teesta and Rangit, the two holy rivers of the state near Melli to take holy bath and to pray for a better year filled with peace and prosperity. After a holy dip on the river, the devotees put Tika of Ban Tarul (Dioscorea Hamiltonii) on their foreheads. In addition to holy bathing and worship of shrines, certain auspicious foods like till laddoos (seasame seeds ball cakes), chaku(molasys), gheu (clarified butter), sweet potatoes, khichari (mixture of rice and lentils) and Simal Tarul (Tapioca) are taken on this day. Edibles like sweet potatoes, ban tarul and tapioca are regarded as Kandamuls (things that are grown under soil) by the Nepalese of Sikkim and other Indian States. 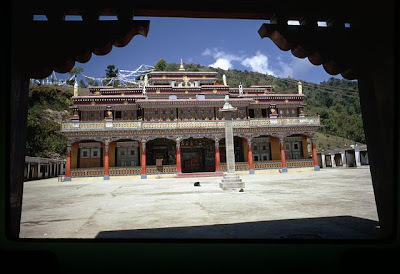 The day is also regarded as the New Years Day among the Limboo community of Sikkim. 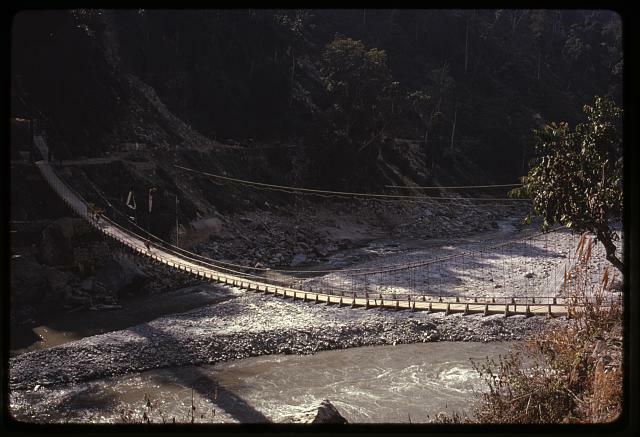 The study of Sawai and Khado (the writings of some contemporary writers) and the History of the Gorkhas reveals the fact that in 1788-89, the Gorkha General Jahar Singh crossed the Chiabhanjyang pass, taking the Sikkimese forces by complete surprise and made a lightening raid on Rhabdentse. “The capital was caught napping and the most disorganized abandonment of any capital imaginable took place”. The Gorkhas under Purna Alley captured Southern Sikkim through Elam. 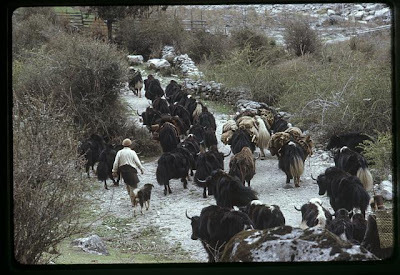 Another Gorkha force, more numerous and powerful than the former ones under Damodar Pandey, subsequently re-inforced the Gorkhas, they spread themselves all over the country, prying into every crick and corner of Sikkim, they sent out parties to pry and prowl about all the valleys of the river Teesta and its tributaries. A fierce battle took place between the Sikkimese forces and the Gorkhas that ultimately led to the victory of the latter. Hence, after ensuring their sway over the Western and Southern parts of Sikkim, the victorious Gorkha soldiers celebrated their triumph at the confluences of River Teesta and Rangit. They washed their blood stained Khukris on the river and had taken a rinse in the river, they sang, danced and took all wild foods like ban tarul, sweet potatoes etc. on the day of Maghe Sankranti. Therefore, it is said that to commemorate their victories over Sikkim and other Himalayan States of Kangra, Kumaun, Garwhal and so on the Indian Gorkhas celebrate the day of Maghe Sankranti every year. 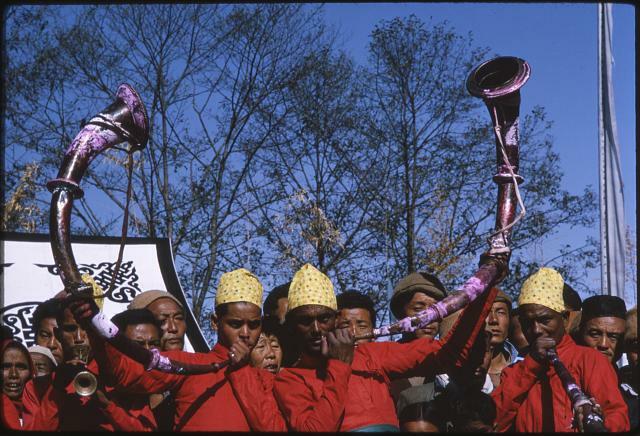 But, the Nepalese version of the celebration is silent about the victories made by the Gorkha forces in the Indian States. Hence, it is not clear to ascertain that it is celebrated by the Indian Gorkhas to commemorate their victories over the Himalayan Sates including Sikkim. One can witness people enjoying swings, dance and many other games like dice, ghurni etc at the feast organized by various organizations throughout Sikkim. These feasts are locally known as Maghe Mela. Every rural Sikkimese is an aficionado of such Maghe Mela to visit and to have fun. The important of such feasts can be seen at Jorethang, Saramsa, Rorathang, Singtam and even at Triveni at the Bengal side. Apart from the historical controversies, Maghe Sankranti has now become a festival of unity and brotherhood in the state of Sikkim. 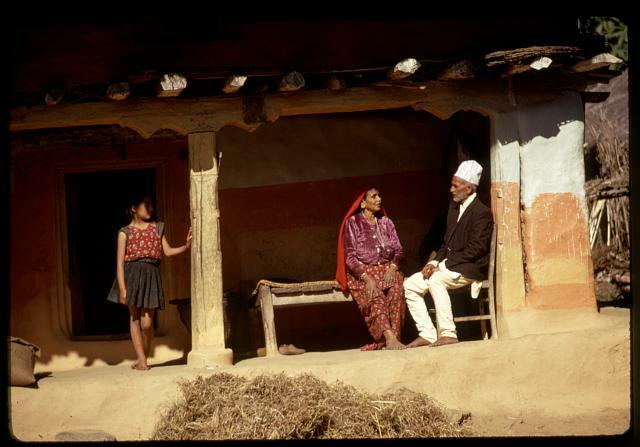 People of diverse ethnicity can be seen enjoying swings and Tambola in the various feasts throughout the State. The photographs taken by Dr. Alice S. Kandell in Sikkim used to be rare until she dedicated her rights to the public domain as a generous gift to the Library of Congress, Prints & Photographs Division in 2010. It is from this website we also have been able to get the erstwhile glimpse of Sikkim. Dr. Kandell captured these flamboyant pictures in order to document a vanishing culture of the Sikkimese society. During her visits between 1965 and 1979 (primarily 1965-1971), Dr. Kandell received special permission to photograph Buddhist monks and lamas, ceremonial dances, and monasteries; people working on farms, in canning factories, and at special crafts; and the royal palace and chapel at Gangtok, including the last king, Chogyal Palden Thondup Namgyal, his American wife Queen Hope Cooke (Dr. Kandell's college friend), and their family. Apart from the Royal pictures Dr. Kandell has also taken various pictures of far off villages like Singhik and Lachung, the mountains of Kānchenjunga, the Ralang Hot Springs, and the Gangtok bazaar as well as different ethnic groups including the Kirati (Kiranti), Lepcha, Nepalese, and Bhutia people. Though Cricket is looked open as a gentlemen’s game and is being adored by almost all of the Indians, football has its own tang and recognition among the people of the Himalayan States. The Himalayan states, particularly the North Eastern States of India have been able to provide the greatest football players for the Country. 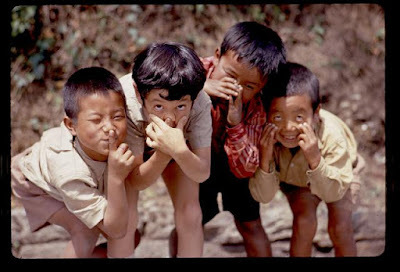 Among them Sikkim has always enjoyed a top position. There is no doubt to ascertain that football flourished into Sikkim with its contact with the British. 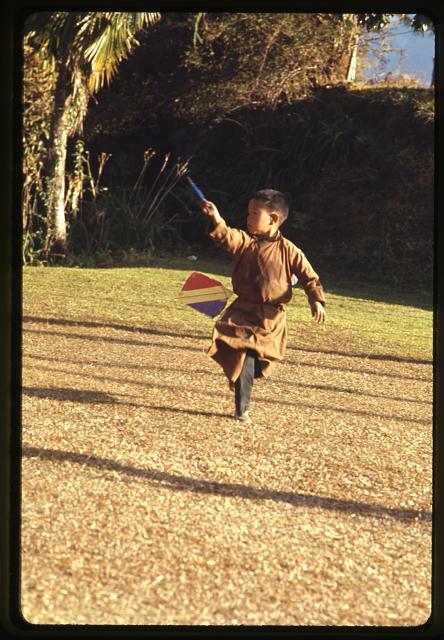 Possibly, the Colonial Sahibs used to play football during leisure from where the Sikkimese privileged also imitated. Thus, football attained its popularity among the Sikkimese masses which has now become an inseparable part of the Sikkimese society. We do not have much information about the prevalence of Football Clubs in the initial decades of the 20th Century. Much later in the 40’s, few football enthusiasts from Gangtok founded its first ever football club. This very football club was thence known as Kumar Sporting Club. 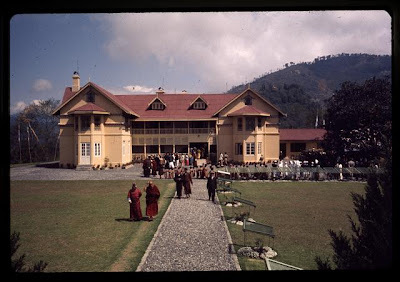 It was established in the name of Crown Prince Late Paljor Namgyal, who was in the Indian air force with the British and died in a plane crash in December 1941 during Second World War in Burma. It has to be mentioned here that the Crown Prince was affectionately nicknamed as Kumar Sahib, a shaded adaptation of the word Maharajkumar Sahib. Hence, the first football club of Sikkim got its name as Kumar Sporting Club. The Kumar Sporting Club won the first cup outside Sikkim in 1948. The Paljor Stadium of Gangtok is named after the late Crown Prince Paljor Namgyal. The Kumar Sporting Club was followed by Gangtok Football and Sporting Association. After 1973, the Gangtok Football and Sporting Association was given affiliation by the All India Football Federation (AIFF). In a national tournament the Gangtok Football and Sporting Association lost its match against Goa by 10 goals which became the crossroads in the history of football in Sikkim. 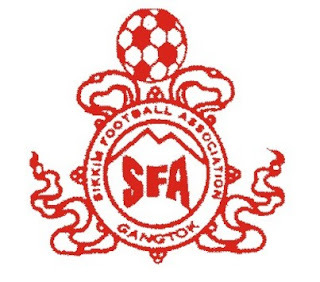 After this humiliating defeat, the Gangtok Football and Sporting Association was renamed as Sikkim Football Association (SFA) in 1976. 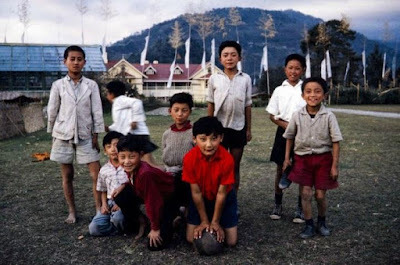 With the foundation of Sikkim Football Association, Sikkim gave some of its best players to the country like Samdrup Norden, Pem Dorjee (the first Sikkimese to lead the Indian Football team as a Captain) Kul Bahadur Chettri and many other youngsters like Mr Ong Tshering Lepcha (Former Captain India Under 21 Team) Nirmal Chettri (East Bengal and Defender Team India) Sanju Pradhan (East Bengal Midfielder) and many others who have played professionally for various Football Clubs all over the Country. Nevertheless, the biggest contributions to Indian Football from Sikkim have been the annual Governor’s Gold Cup, annual Chief Minister’s Gold Cup and Padmashree Bhaichung Bhutia (former Captain of Indian Football Team) now the founder and owner of United Sikkim Football Club. The journey of Sikkim’s Football enthusiasm which had its start with the small Kumar Sporting Club has now become an immense SFA with its pride Pem Dorji, Samdrup Norden, Bhaichung Bhutia, Kul Bahadur Chettri and many others who are struggling to get their place in the Indian Football Team. The credit of producing these football heroes of Sikkim always goes to the Kumar Sporting Club, the pioneering Football club of Sikkim. 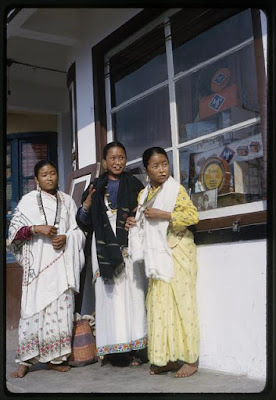 Every Sikkimese has seen Sikkim Almanac hanging on the walls of every Official building or in every house to get an idea about the official government sanctioned holidays for a particular year. 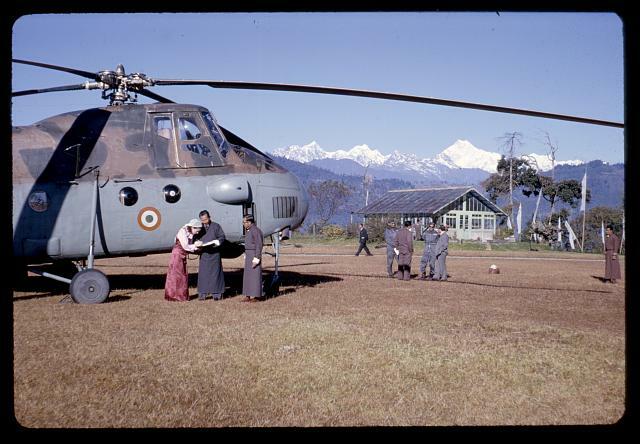 But, we have never paid any attention to understand its link with the past of Sikkim. 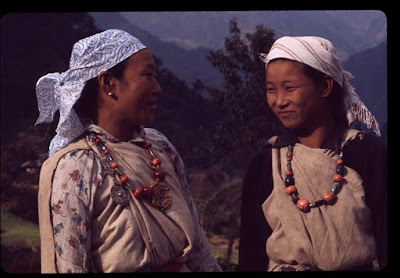 The Sikkim Almanac nowadays is merely serving as an everyday planner of the Sikkimese people. 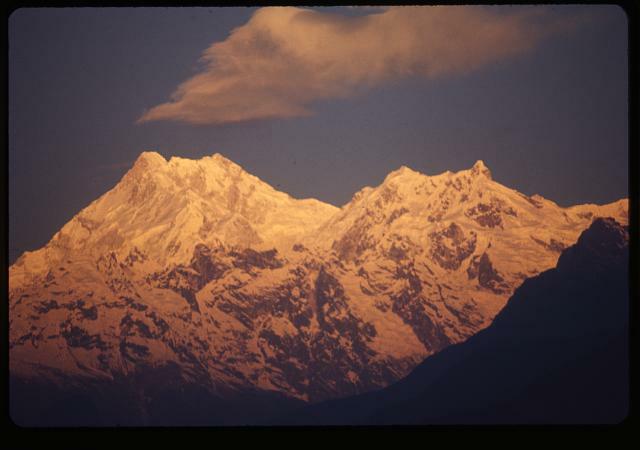 But, distant from being the official holiday marker the Sikkim Almanac has its profound bond with the history of the erstwhile Himalayan Kingdom of Sikkim. 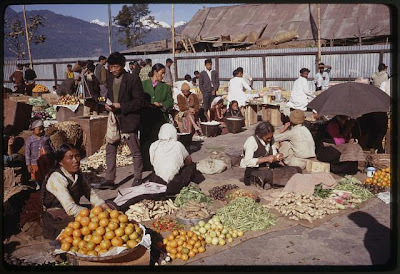 The Royal Government of Sikkim began to issue its Almanac, which lists the official government sanctioned holidays for each year, in the mid 50’s of the last century. 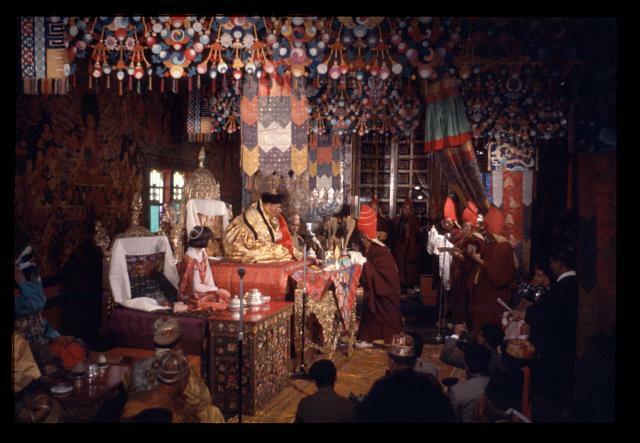 The noble task was undertaken during the glorious reign of Maharaja Sir Tashi Namgyal. The sole purpose of issuing such Government Calendar was to inform the subjects of the Maharaja about the Government sanctioned holidays in the kingdom of Sikkim, so that they could avoid themselves from reaching the Capital during holidays for their Official works. The Government sanctioned holidays in the calendar were highlighted with red colour which was easier for every individual to get an idea of the existing holiday in a particular month. The very same layout of Almanac is still prevalent in the Sikkim Almanac issued by the Government of Sikkim. The Sikkim Almanac has some distinctive features as well. In conjunction with the dates of Gregorian calendar in English are the dates of Tibetan Lunar Calendar in Tibetan scripts. Presently, the heading carries emblem of Sikkim Government but, during independent Sikkim it used to have a portrait of the reigning king of the Kingdom. The fifties (1950’s) version of the Sikkim Almanac carried pictures of Maharaja Sir Tashi Namgyal in full Royal ceremonial dress, while the pictures of Chogyal Palden Thondup Namgyal were more casuals. 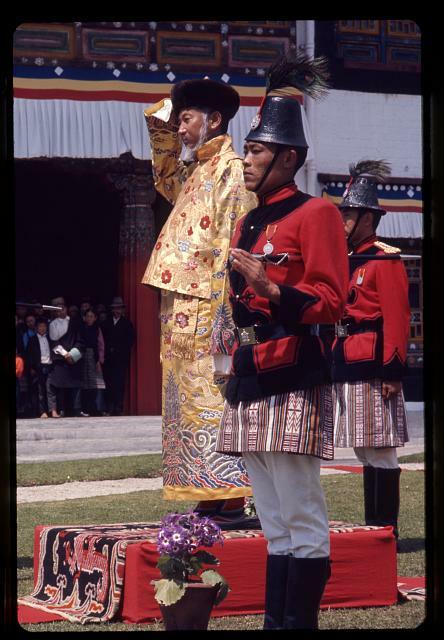 The placing of the King’s pictures on Sikkim Almanac was stopped after Sikkim’s integration with the Indian Union. Apart from English and Tibetan languages the title of the Almanac is also written in other Sikkimese languages like Lepcha, Nepali and Limbu which is in vogue since its first issue. Either side of the Almanac is bordered by the Eight Lucky Signs known as Tashi Tagey (Tak Gye) in Tibetan. These auspicious signs are symbolic with the life and teachings of the enlightened Tathagatha. After Sikkim’s integration with India, the Sikkim Almanac is printed and distributed by Home Department, Government of Sikkim every year.